Jane Scrivner Bioluronic Buzz Hyaluronic Hydrator is the ultimate in light moisture with an extremely gentle, non-greasy feel. Hyaluronic acid is one of the best ingredients for diminishing signs of wrinkles and discoloration. Formulated with aloe vera for a cooling sensation, this skin treat gets its name from spilanthes acmella, also known as Buzz Button, used to reduce feelings of muscle tension and create a smoother looking appearance. Salicylic acid is added to create a smooth feeling surface, and frankincense essential oil makes skin look toned and tightened. The complexion is left feeling luxuriously soft and smooth, with a youthful appearance. 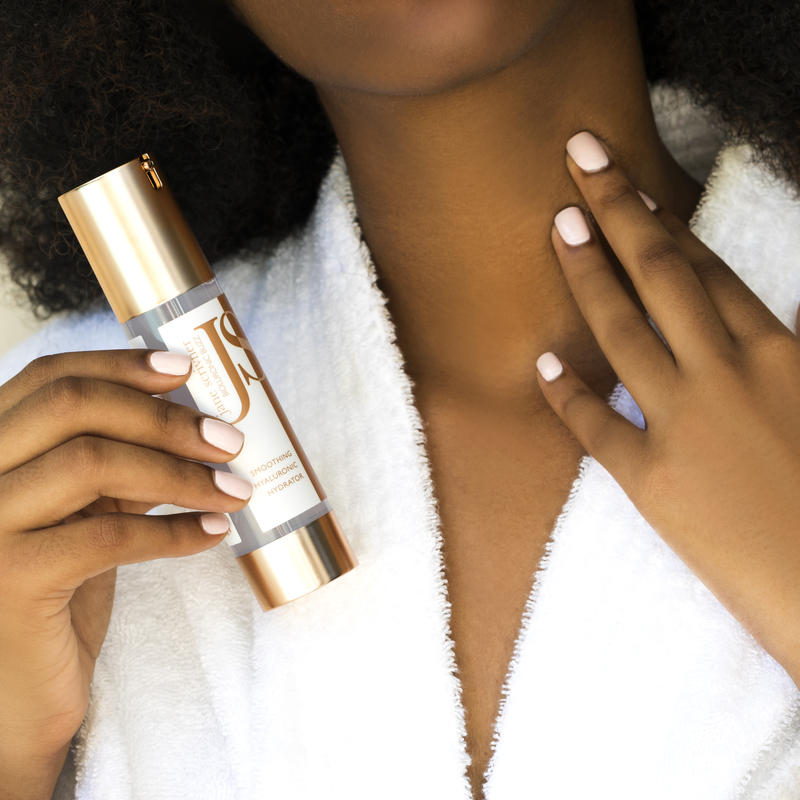 Massage gel onto clean skin twice daily to improve the look and feel of the complexion. Use both day and night to increase the appearance of beautiful, youthful skin. 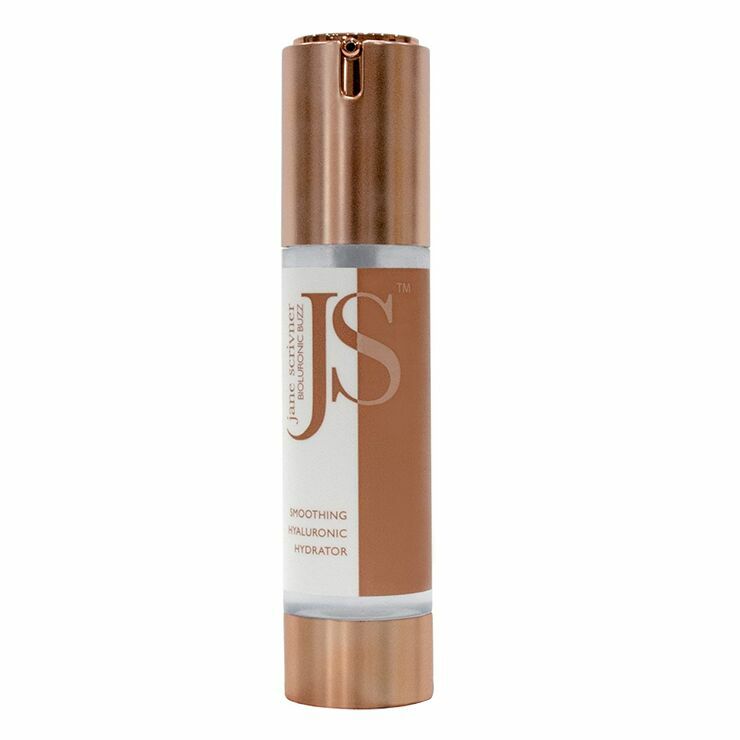 The skin hydrator may also be used on legs and arms to improve the look of sagginess and discoloration. Aqua (Water), Hyaluronic Acid, Caprylic/Capric Triglyceride*, Propanediol**, Salix Alba Bark, Aloe Barbendensis Extract, Sodium Bicarbonate, Boswellia Carteri Extract, Phytic Acid***, Spilanthes Acmella (Buzz Button) Flower Extract. Smooths and Plumps my Skin!